Divide Time Properly: Give at least 7 days time to each of the subject biology, physics and chemistry and remaining time use for revision, solving mock test series and previous year question papers. Prepare Short Notes: Maintain the short notes of important formulas, concepts, reactions, equations etc. It helps you to cover the more topics in small time span and remember all those things easiest & quick way. Focus on Revision: Revision is very important to remember what you study. Revise the topics on the next day of preparation is a best idea to do revision in an effective way. Solve Practice Mock test Series: Solve possible number of practice mock test series. It helps you to analyze your strong and weak points. You can also improve your time management skill, speed and confidence level through mock test practice. Improve your weakness: After solving mock test, previous year question paper, you get clear idea about your strength and weakness. Give possible efforts to improve your weak points to achieve good score in exam. Avoid Procrastination: You have only one month for study. So avoid procrastination and strictly follow your study schedule. Don't get distracted from study and focus on preparation with full of dedication and concentration. Do Exercise & Yoga: Give the small amount of time for meditation & yoga from your study routine. It helps you to reduce your stress & tension. Your concentration and confidence level also improve by doing yoga & meditation on daily basis. Eat healthy Food: Focus on your health. Eat healthy foods like fruits. Avoid late night studies. Always remember "Sleep well Eat Healthy" mantra for maintaining good health during exam time period. You can join the crash courses to cover large syllabus in small time span. NEET Classes in Pimpri Chinchwad conducts the Crash Courses, practice mock test series for both regular and repeater students. 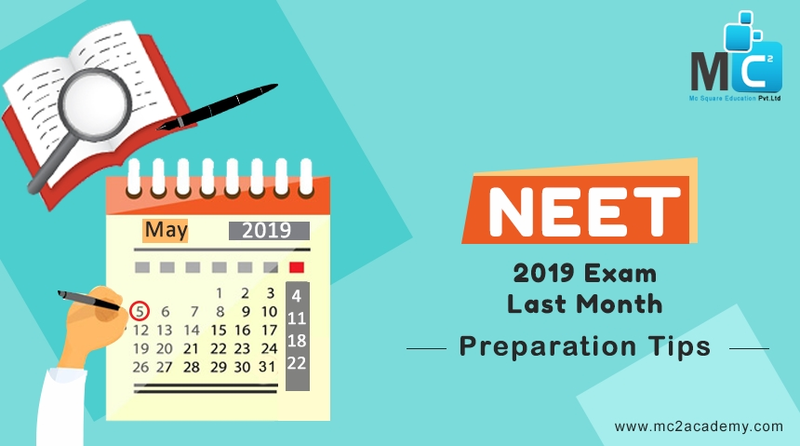 Here you can get complete guidance and helpful tips for NEET exam preparation. Give your 100% efforts for exam study & clearance! !